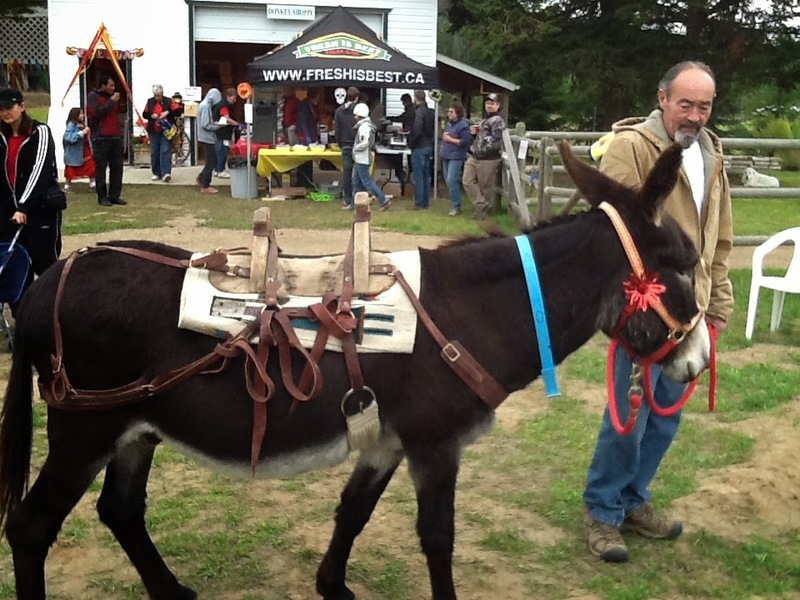 HAPPY ST. PATRICK'S DAY FROM OUR VERY OWN "DANNY BOY"
DECKER THE DONKEY'S FRIEND FROM ALBERTA. to subscribe to our monthly newsletter. We hope you enjoy the read. Today was a lovely day as Laura and I got to spend some time with the donkeys at the new Refuge. The minis were all quite content and several of them looked very dapper in their plaid and animal spotted blankets. 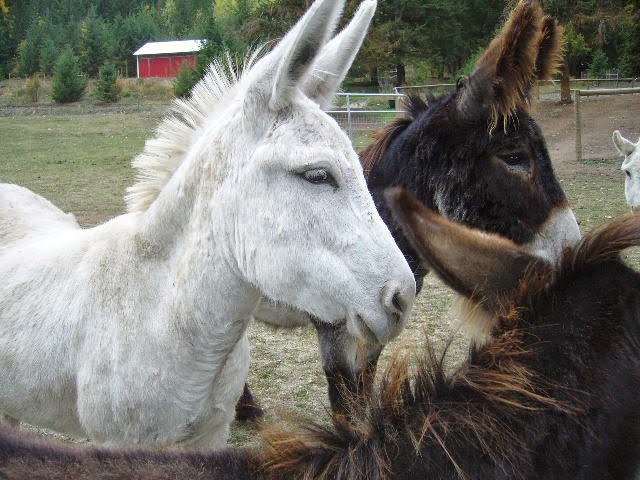 Laura gave each of the standard donkeys a good hug and scritches while I was in the office doing office stuff. Then I joined Laura and we ventured into the standard herd for some up close encounters with the boys and girls. Farrah was so happy to see Laura and I got to give some good snuggles to Lady who is unpredictable. Sometimes she wants attention and other times not so much. Today she wasn't sure at first but then she changed her mind and got some good ear rubs. Julio was in a very playful mood and was kicking up his heels and rearing up, trying to get the other boys to play. What a sweet boy. 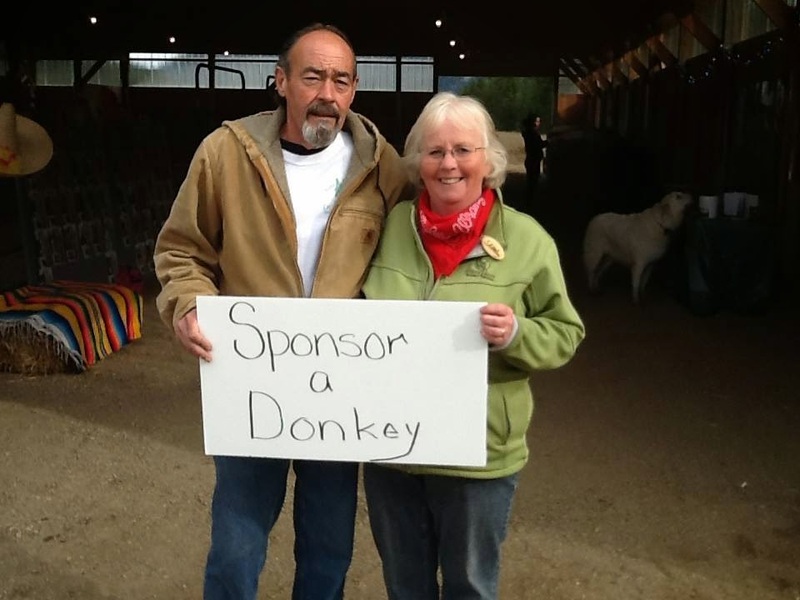 While Laura continued to enjoy the standards, I visited each of the mammoth herd donkeys. Cotton and Sampson were funny today as they really wanted their hugs but are still a little shy. As always, Ollie and Lillie were front and center for their hugs. Even Ruby stood for a few moments of ear rubs before realizing that she might be looking like she was enjoying herself so headed off. They each have their unique personalities and half the fun of being with them is watching them step "outside the box" to let you enjoy your time with them. This picture was taken on a warm sunny day last summer. 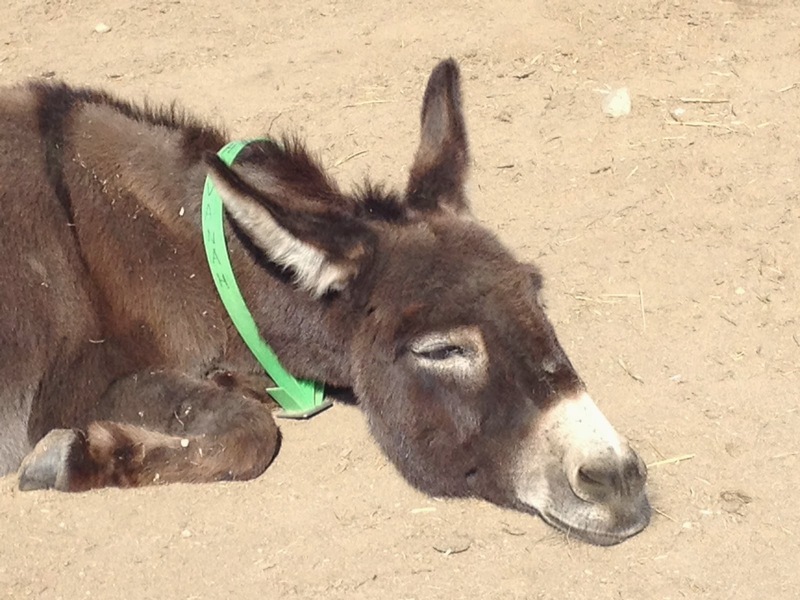 Our little mini donkey Havanah had nodded off to sleep in her paddock and we are sure she was having lovely dreams about the yummy hay she would soon be having for supper. Alas, it is a snowy winter scene at the Refuge right now and little Havanah would be up to her tummy in snow if she wandered away from the areas that Rob has cleared off for the herds. Sweet Dreams Little Girl - Soon there will be sunshine and warm winds for you and your friends. 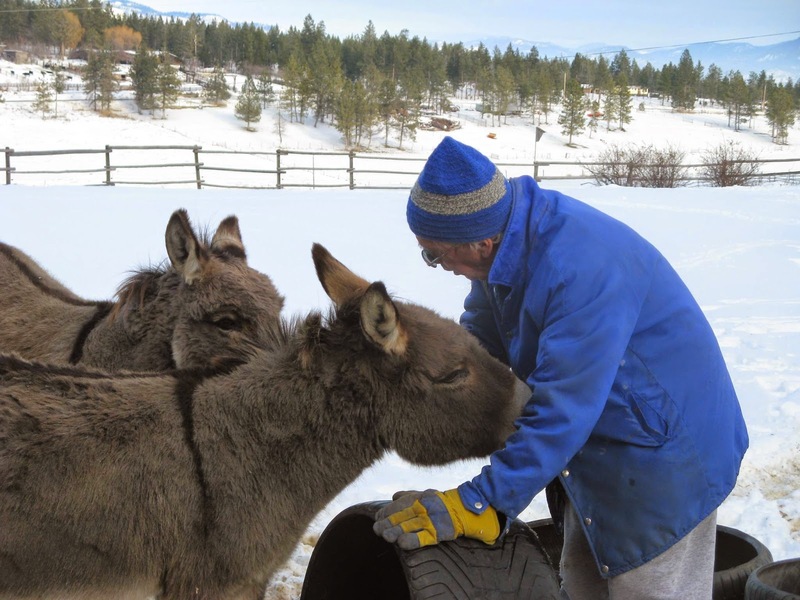 A loving review of the new donkeys/mule in the order of their arrival at the Refuge in 2014. We opened our hearts and home and worked very hard in 2014 to provide them with the peace and security that they deserve which we are able to do through the very important assistance from You Our Donors. Happy New Year everyone. Missing is Chikka and Foggy which I will post shortly. This is an outside event so please dress accordingly. We Are An Amazing Community!!! As always, most things I see and experience are either directly related to my love of donkeys or bring to mind something related to donkeys. 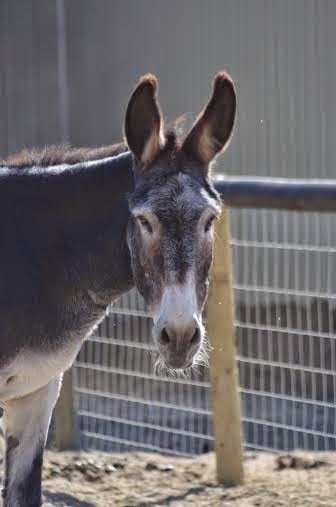 Bear with me - this posting is all about donkeys, honestly! On Sunday we went to the Corner Gas Movie - a short run movie that wraps up the TV series of the same name. The show and the movie centered on a fictitious town in rural Saskatchewan named Dog River. Its residents were a quirky lot and for me they brought good, clean, silly giggles into my home each week. The show was not for everyone but for me it represented the "culture" of Canada - kindness, sharing, good humor and caring for each other, albeit in some very strange ways. In the movie, the town needed an influx of cash to remain viable. Each of the business owners, and others who wanted the town to continue, came up with innovative ways to raise money to "save" the town. Of course it was silly and in the end all was well. 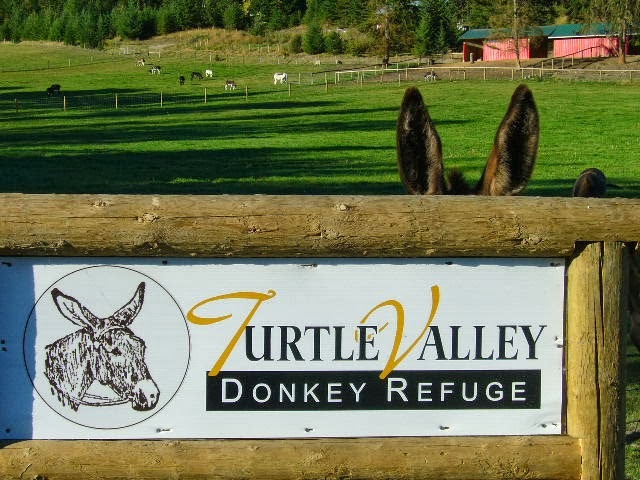 So how, you may ask, does this remind me of the Donkey Refuge? As an animal welfare charity we are always looking for ways to attract and keep supporters so that we can continue to rescue and care for donkeys in distress. This is not news to anyone who already supports the Refuge. As in the movie, there are people who immediately step up, others that first need to be convinced that the "cause" is worthy of their support, and still others who say "No, thanks." and mean it. We are grateful for each and every one of them - those who provide financial support, whose who do not support us financially but give generously of their time and talents, and even those that choose not to participate financially or on a volunteer basis but may help indirectly by telling others about us. We are a strong community. 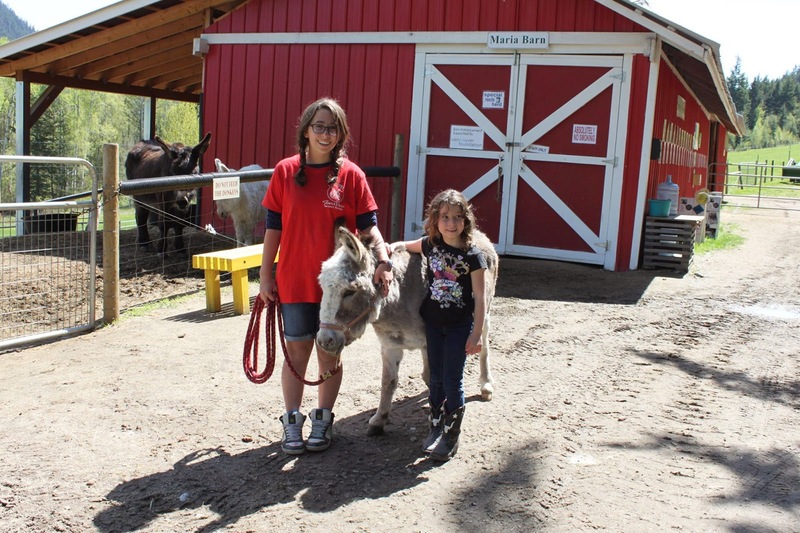 A community that has come together to recognize and support the care and future of our gentle beasts of burden. To speak up for these often misunderstood creatures who have endured so much but still want to give and receive love. I am honored to be part of this community. 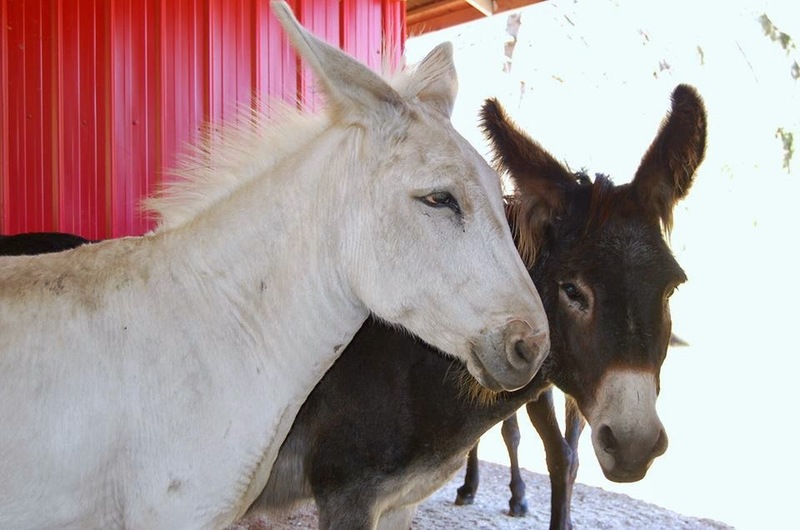 Donkey Hugs and Good Wishes for a Wonderful Christmas Season and a Joyful New Year!